If you talk about antioxidant capability or activity in vegetables, garlic is one of the highest. Japanese, Chinese and Korean sip green tea very often every day, just like European sip or enjoy coffee during break time. Green tea is quite a good antioxidant, too, followed by coffee. 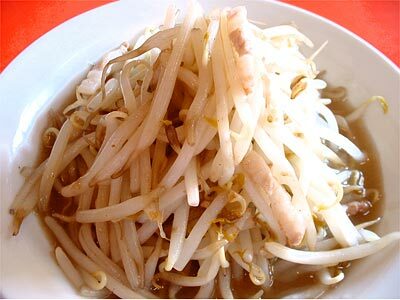 Sprouts as daily vegetable diet, are still superior to other antioxidant foods. On the side note, I just read information announced by the Japan's Ministry of Health that people who drink more than 5 cups of green tea everyday have 50% lower risk of contracting prostate cancer than those who drink less than a cup of green tea a day. Probably, it is because green tea contains "catechins", a strong antioxidant for cancer cells. The above photos show Mr. Takano, the author himself. 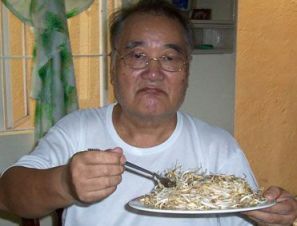 He fries 150 grams of sprout (sauté with salt and corn oil only) everyday and eats them all in one day. Garlic has the highest antioxidant activity followed by kale, spinach, Brussels sprout, alfalfa sprouts, broccoli flowers, beets, red bell pepper, onion, corn, eggplant, cauliflower, cabbage, leaf lettuce, string bean, carrot, yellow squash, and celery. Some fruits also contain high antioxidant activities. We believe that Alfalfa sprouts play an important role in preventing menopausal symptoms, osteoporosis, cancer and heart disease. Alfalfa sprouts, soybeans, and clovers are the most significant dietary sources of isoflavones, coumestans, and lignans. Broccoli sprouts may reduce the risk of getting breast and colon cancer. It also acts as an antibacterial agent against "helicobacter pylori", an organism associated with causing stomach ulcers. Broccoli sprouts may also cut the risk of stroke, high blood pressure, and cardiovascular diseases. Red clover (Trifolium pratense) contains "genistein", an anticancer compound that prevents new blood vessels from forming within a tumor. Genistein can also be found in soybeans, black beans, and peanuts, too. Since tumors rely on new blood vessels to grow, genistein effectively starves the cancer. Red clover is one of the world's oldest and most common natural cancer remedy. Sprouts are friendly foods to all recipes. 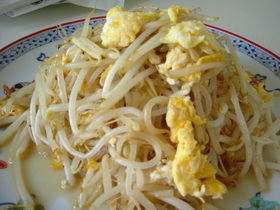 Sprouts mixed with eggs, sauté with salt. 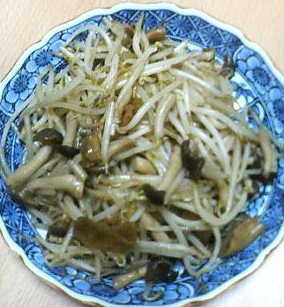 Sprouts sauté with mushroom and other vegetables. Sprouts simply sauté (fry) with corn oil and salt, fits to spaghetti, ham sandwich, hot dog sandwich, noodles—you name it. It is so friendly with any. From this article, you've learned that sprouts are one of good dietary foods for obesity. Now, I can give you a simple way to reduce your weight without any heavy effort. Simply use BLUE EYEGLASSES when you eat meals. That's all. You can reduce your weight as heavy as 10 kg (22 lbs.) in a month period. Try it. No side effects. Do you believe it?